Need an excuse to take a road trip? 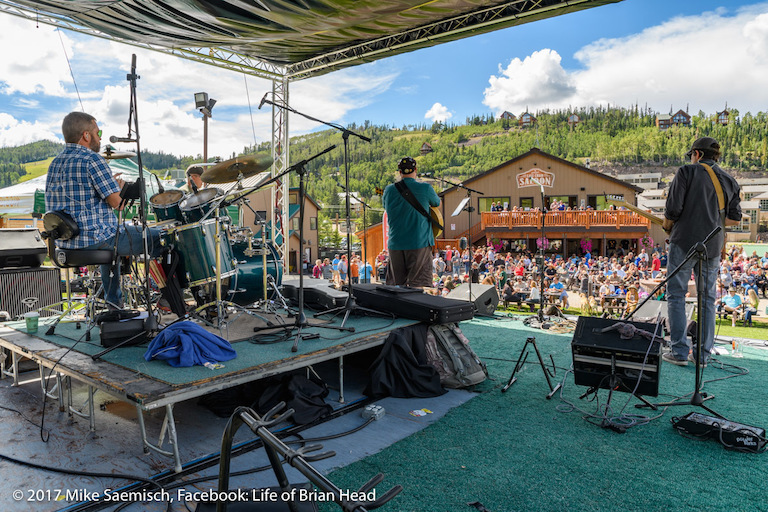 Head to Brian Head to experience the authentic sounds while enjoying fresh BBQ, local brews, and outdoor adventures. Bring the family and take a scenic lift ride to the top of Giant Steps Lift for breathtaking views, try the mini-zip line, or go for a hike or mountain bike ride too. Or maybe just kick back on the patio of Giant Steps Lodge while listening to live music while enjoying some smoked BBQ and craft beer from local vendors. Whatever your idea of a great weekend is, we have something fun for everyone at “The Main Event” in Brian Head! A $10 cover charge will be in place for Saturday’s festivities (kids 12 & under Free). Day two of “The Main Event” has no cover charge and will again have awesome food and drink as well as feature live music from the Mason Cottam Trio and Sunday headliner Kelly Sheehan! At 11:00 AM Muddy Boots opens the stage. From 3:00-7:00 PM we’ll have music from Safety Orange and at 7:30 PM. The Headline music act Zeppelin USA, (an American cover band for classic rock group LED Zeppelin renowned for their authentic LED Zeppelin style and sound) will rock Brian Head Resort into the evening. All activities and mountain biking at Brian Head Resort will be operational throughout the duration of “The Main Event”. Take a scenic lift ride or try the family adventure trail scavenger hunt! An 18-hole disc golf course from the top is always a great challenge. Activities around the base include a zip line, downhill tubing, bungee trampolines, archery, and a rock climbing wall. Our new fleet of mountain bikes will be available for rental for exciting fun in our upgraded and improved mountain bike park too.